Link Global are perfectly placed to handle your Ireland contractor accounting. Structure your work arrangements with confidence using our internationally renowned accounting solutions. From early planning advice to emergency payroll for imminent work, and every step in between, Link Global provides expert contractor accounting solutions for Ireland and worldwide. Link Global Management are perfectly placed to handle your Ireland contractor accounting. Structure your work arrangements with confidence using our internationally renowned accounting solutions. From early planning advice to emergency payroll for imminent work, and every step in between, Link Global Management provides expert contractor accounting solutions for Ireland and worldwide. The arrival of technology giants such as Apple, Amazon and Microsoft in Ireland has opened up the market. The fact English is spoken, along with Ireland’s proximity to the UK and reputation for its warm welcome, has boosted Ireland’s appeal for contracting. Ireland doesn’t impose any restrictions on access to its labour market by citizens of other EU/EEA countries and Switzerland, aside from if you’re from the two most recent member countries of Bulgaria and Romania. Citizens of all other countries have to register for the work permit process. A work permit can only be obtained if no suitable candidate can be found in Ireland or another EU member state. There are 9 types of employment permit including a General Employment Permit and a Critical Skills Employment Permit. General Employment Permits are issued by the Department of Jobs, Enterprise and Innovation. Either the employer or the employee can apply for a permit, which must be based on an offer of employment. Permits are issued to the employee and include a statement of the employee's rights and entitlements. An employee with an employment permit has all the employment rights of Irish or EEA citizens for the duration of the permit. Generally applications for General Employment Permits must have a minimum annual remuneration (pay) of €30,000. Link Global Management deducts tax and social security at source on a PAYE basis, and payments are made to the relevant authorities. You can reduce this taxable amount by offsetting some business expenses. Employers and employees, as well as self-employed individuals, must make social security contributions. Contributions are payable on all taxable salaries, wages and allowances and, for self-employed individuals, on personal income. The Irish tax model borrows heavily from that of the UK, but they’re not exactly the same. The Irish tax year is the calendar year, and tax returns must be filed by 31 October of the following year. Tax rates are banded between 20% and 41% dependent on income. Under the Irish social security system (Pay Related Social Insurance or PRSI), employers’ contributions total 10.75%. Employees contribute 4% on earnings. Irish social security gets paid on your full salary in Ireland unless your EU-based employer detaches you from another EU country with an E101 certificate. 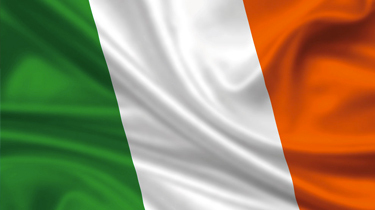 Thinking of contracting in Ireland?